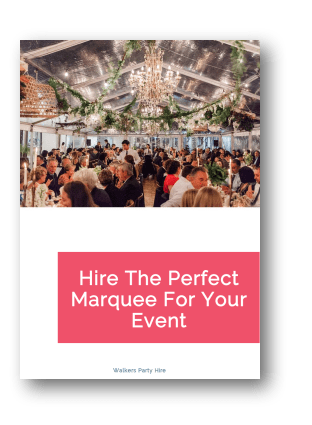 We are Sydney based marquee hire specialists with a complete range of marquees and accessories that will make your event remarkable. We work very hard to ensure everything runs smoothly and this is one of the reasons why we have stood out through our years of service to the business, corporate and functions sector. “Excellent Very easy to deal with. Set up and pack up on time. Made our event a success.” Harry. Invite us first so we can help you choose just the right marquee and help you plan a fantastic memorable event. We will take the time to understand what you are trying to achieve and what you need. And we can help you find the perfect marquee for your event. We can even do a site visit if that helps. Just fill in the form or call us on 02 9533 4429 and we will be in touch. A-Frame’s work for nearly all types of events. They are highly flexible. We use world leading Hocker brand marquees, engineered to the highest standard in quality, form and function. Hocker has been THE industry leader in the event industry for over 40 years. The marquees are modular and can be configured into many different sizes and styles to suit your event. A-Frames work really well for weddings, home based events and festivals. With our range of accessories combined with our styling your marquee, contribute to an impressive and memorable event. Hiring an A-frame marquee in Sydney, starts from just $420. However, we can offer you a more accurate quotation after assessing your needs and carrying out a site inspection. So invite us first. We can help you get your marquee looking on point for your event. Our accessories and fittings for marquees can totally change the look and feel of your marquee to achieve just what you want. These include clear walls, ceiling and wall linings, air conditioning, lighting, decor, plants, all types of furniture, accessories, anchoring, ramps and flooring. We even offer over pool flooring to cover your swimming pool to give more space. Our A-Frame marquees can be used on uneven surfaces and we can even premake flooring to suit. Our project coordinators can also come out to your Sydney property to assess the location and recommend the best solution for you. Looking for something a bit more unique? Try our Dome or WOW structures. Perfect for anything from your average backyard party to an impressive corporate event, they are 6m x 6m (or 36sqm) and feature 4 entry points that can be left open or sealed with clear or white panels. Our 4mx4m pagodas are an excellent stylish option when you are running a smaller event. They are perfect for small weddings and parties. With more headroom than a pop up shelter, they also work really well as stalls for fetes, trade stands and for corporate hospitality counters. Our pagodas are made from top quality materials making them waterproof, robust and durable. We anchor them down to make sure they handle all of Sydney’s weather conditions. Rain, thunderstorms or full sun the weather won’t dampen the fun at your outdoor event with a pagoda from Walkers Party Hire.